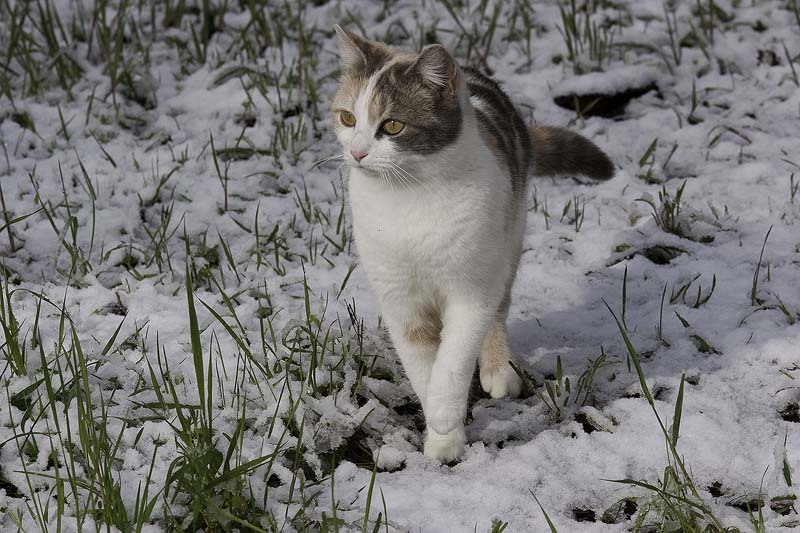 Our little calico, Trixie, looks almost wild when there's snow on the ground and her white parts blend into the environment. She does look mighty good in the snow, sort of calico camo. If I were a mole or a mouse, I would be afraid, very afraid. Oh so very sweet in the snow. Love the softness of this image..the colors!! !